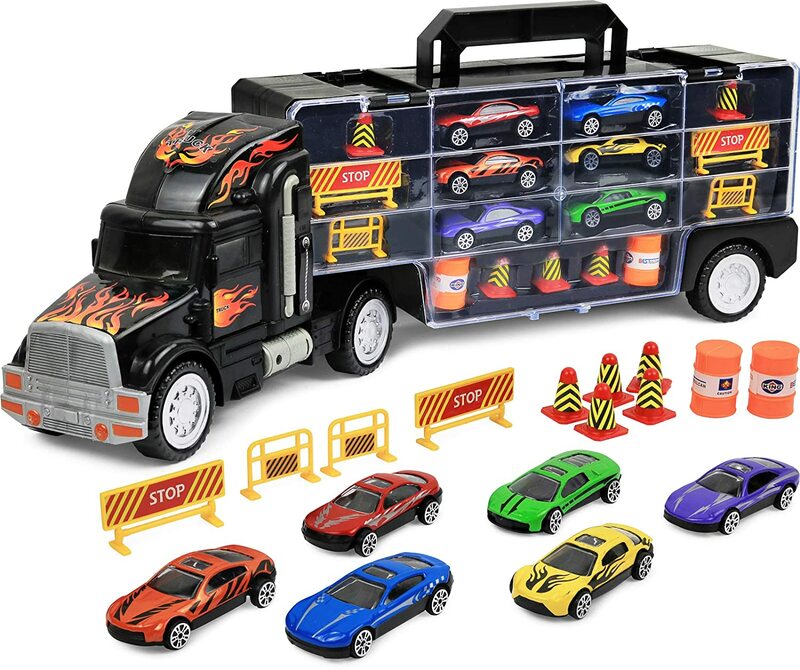 Head to Amazon to get this Click N’ Play Transport Car Carrier Truck with Cars for only $16.00 shipped, regularly $28.99. This jumbo tractor trailer car transporting truck features a build in carrying case with 26 slots. The set includes 8 die-cast cars 1 mini truck, 4 construction signs and 2 cones.